We had a great time at Chance's 5th birthday party. 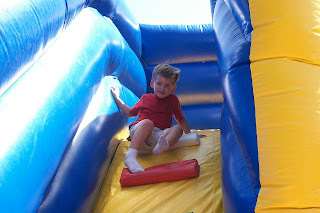 The biggest attraction was the huge inflatable air castle, complete with a slide. Dawson and the other kids loved it. 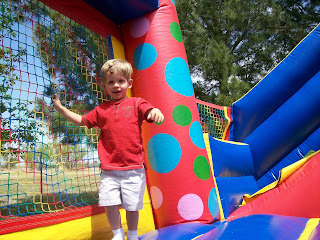 Dawson spent most of his time at the party in the air castle, bouncing and sliding. 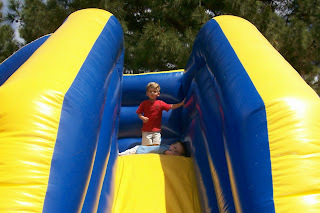 Dawson and Chance at the top of the slide. 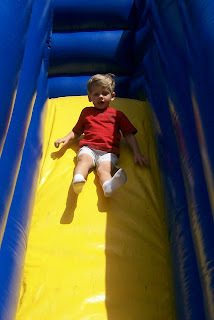 Going down the slide on his stomach. Jumping in the open jump area. 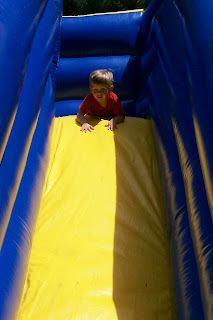 Big bounces down the slide. 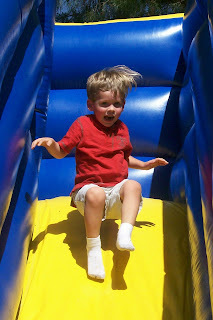 This was probably his favorite method of going down the slide.